30 September 2018 – Phase Five Construction – Alhamdulillah, our phase five construction work has now begun. 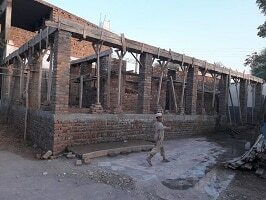 This will provide a further addition to our existing building which will give us a long awaited separate and sufficient amount of male and female bathrooms, security office, principal office and another staircase to the main building to avoid any potential accidents during the school start and finish time and in an emergency. 14 August 2018 – Pakistan Independence day celebrations were enjoyed by pupils, parents and teachers at Islamic Public School Tatral and Madrasah Ibrahim. The celebrations began with a beautiful recitation of the Holy Quran from students from the Madrasa. Pupils displayed their talents in a number of performances and speeches for everyone to enjoy making it a day to remember. Adverse weather meant the event took place within the newly constructed veranda but this did not dampen the spirit and joy of the celebrations enjoyed by all. 23 March 2018 – The Annual Prize Distribution Ceremony for the Islamic Public School Tatral was held today. Recitation from the Holy Quran preceded a number of performances by students from both institutions. Our honourable guests listed below then awarded prizes to the students which brought a sense of pride and ofcourse many smiles for students and parents alike. Our honourable guests, Doulat Khan, Nasir Shahbaz and Muhammad Khalid and our management, Qasim Quershi, Fida Chaudhary and Karnal (r) Nawaz Malik addressed the students directly to encourage and motivate them even further. Please see our activities page on this website to see the videos of all the programme performed today. All videos of activities, speeches and performances from both of the above events can be viewed on the ‘ Our Activities’ page on this website. 01 January 2018 – At Ibrahim Trust & Chountra Welfare Association UK we are celebrating the new year rather differently. 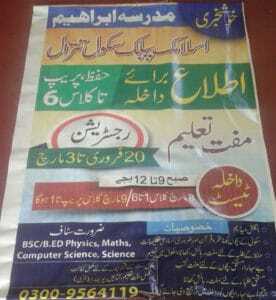 We have now opened our annual admissions for the School & Madrassah students to provide free English medium education and Quran classes to orphans and poor children, in Tatral, Rawalpindi. 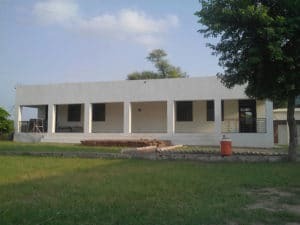 We have been providing boarding and lodging facilities to Madrassah students since 2007 and free education to all of our school students, including free books as well to orphans and poor students since 2014. From this year onwards we will also be providing free boarding and lodging facilities to orphans and poor school students from outside the local area. For the boarding students we will also pay their travel expenses, as and when they travel to visit their respective families. Moreover, to encourage the parents to send the children to the school, rather than forcing them into child labour, we will be providing financial help to the deserving families from our Zakat fund. 16 April 2017 – Annual Prize Distribution Ceremony of Islamic Public School Tatral was held today. The ceremony started with the recitation of the Holy Quran which was followed by a Hamud. Thereafter, a number of programmes were followed which were performed by the students. After the students programmes the prize distributions took place and prizes were distributed among the school and Madrassah Students by our honourable guests …. Following the prize distribution ceremony, the founder of Islamic Public School Tatral, Mr F Chaudhary, was invited to give background to the organisation and announce the organisation future projects. Mr Chaudhary then enlighten the audience with the organisation background and announced that the future plans of the organisation, including the immediate plans, were to open a cricket ground and a free hospital. Mr Chaudhary also confirmed that the organisation was aiming to complete the cricket ground and the hospital project by March 2018. Former Pakistani test cricketer, Saqlain Mushtaq, was also invited to announce the cricket ground which was named after him as ‘Saqlain Stadium’. Following the announcement of the cricket ground Saqlain Mushtaq distributed two bats for each class of Islamic Public School Tatral and also two bats for Tatral cricket team. 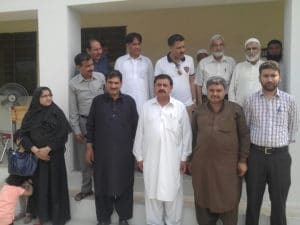 Dr Asif Mehmood from St Helier’s Hospital, Sutton, who had previously visited the organisation in 2016 and held a free medical camp at the organisation, was invited to lay the foundation of the Zaman Welfare Hospital Tatral, which was named after Mr Chaudhary’s late father. It is also hoped that the hospital project will be completed by March 2018. 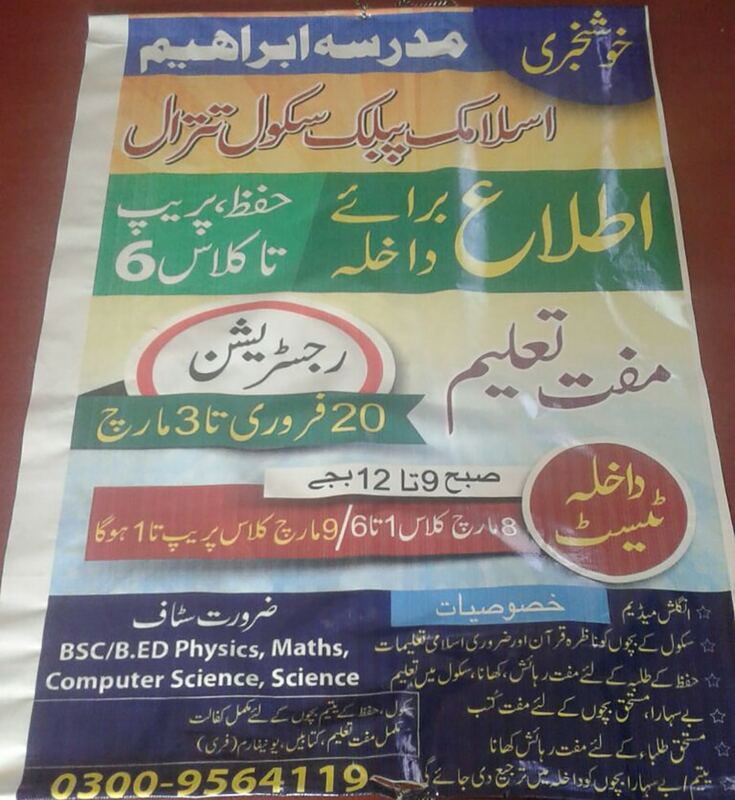 1 March 2017 – Islamic Public School Tatral starts taking admission applications for class 1-6 students. 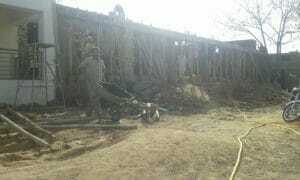 The school will continue to provide free education to all students. The school will also recruit two more teachers for the new classes. 1 February 2017 – Further construction work is underway to accommodate middle school classes which are due to start in April this year. 16 December 2016 – With the blessing of Allah (SWT) today Chountra Welfare Association UK purchased 10 Kanal (1.2 Acres) land. The total costs for the purchase was approximately 16 Lakah and the purchased was funded by one of the directors of Makka Solicitors Ltd, Monowara Roshid a Bengali descendent. In addition, 0.5 kanal was donated by the owner Tariq Sahib. The purchase of this land was necessary to continue an uninterrupted use the land donated by Haji Riaz Sahib and his brother Razaq Sahib. It was also necessary for the future expansion of the project and to provide sports activities to the students and young children in the area. 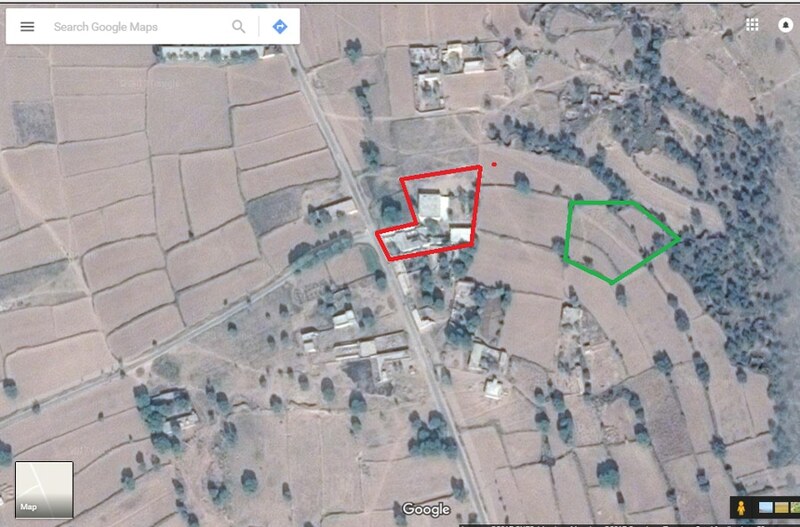 The land in question is shown edged in blue (the land edged in red was the family land of the founder of the organisation, Ibrahim Khan Raja where the initial project was launched by him and the land edged in green was donated by Haji Riaz and Razaq Sahib). 9 August 2016 – Chountra Welfare Association UK successfully held free medical camp in Dr Asif’s supervision. More than 500 patients attended the camp. 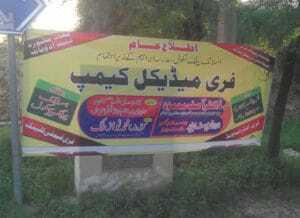 Even though it was a first ever medical camp arranged by Chountra Welfare Association UK it was a huge success. 8 August 2016 – Chountra Welfare Association UK to hold a free medical camp on 9 August 2016. A team of doctors, including Dr Asif from UK will also attend the camp. Free medication will be provided to all patients. 13 May 2016 – Makka Solicitors Limited purchases and donates a 50% share in a flat to Chountra Welfare Association UK, the total value of which is estimated to be £300,000. 23 March 2016 – Al-Alim Islamic Public School Tatral announced its first ever results in front of a large audience which consisted of; teachers, lawyers, army officers, Doctors, politicians, students’ parents and indeed local farmers and villagers. The function was held on 23 March so that it accords with Pakistan’s Birthday. The function started with Qur’an recitation followed by prayer songs performed by the students. Thereafter the results were announced. Despite the fact that it was the school’s very first year, the results were excellent and only four students from class one failed their exams. However, the results in other classes were 100%. Students who obtained the first three positions in each class were given prizes. After the results, Mr Fida Chaudhary addressed the crowd and he gave a brief background of the projects. He also stated that the time has now come for the charity to extend beyond the family and it will start inviting donations from other people, especially from people of Thana Chountra who are settled abroad. He also informed the audience that Barrister Qasim Qureshi has agreed to take an active role in the Chountra Welfare Association UK. He further stated that Barrister Qasim has also agreed to provide higher level education free of charge at World Class Universities in the UK to at least two students of the school per year. 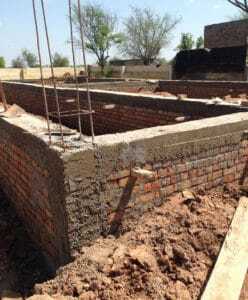 Subsequently, Mr Chaudhary invited Barrister Qasim to announce himself that he will be donating money to build at least two rooms for the middle school classes. Mr Chaudhary further reiterated his intention to start a new class every year until the organisation starts providing University level education free of charge. He also rejected the proposal to apply for government funding in order to compensate existing and future costs and stated that his objective was to provide a platform for the organisation to enable people for a successful hereafter, therefore getting funding from the government would be contrary to the organisation’s objectives. Mr Chaudhary also thanked the school teachers, administration, volunteers and all the attendees, especially Colonel (r ) Muhammad Malik Nawaz, for their valuable contributions and hard work. The function was concluded by a closing speech by Colonel (r ) Malik Muhammad Nawaz, who also gave the background of the project and shed further light on the forthcoming events and projects. 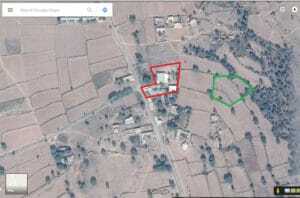 He also stated that the organisation was in the process of obtaining further adjacent land which will be beneficial for expanding the building. He then invited an Imam to hold the final prayer and included a prayer for Mrs Monowara, Rashid who has been suffering from cancer and who is the only donor at present from outside Mr Raja’s family and Makka Solicitors Ltd.
1 March 2016– The building work is completed to accommodate IT classes which will start after the opening ceremony on 23 March 2016. IT equipments have been provided by Mr Yaqoob Baig of Techno Zone UK. May Allah reward him and his family. January 2016 – Al Alim Public School will announce it first ever results on 23 March 2016. 30 October 2015 – Al Alim Public School arranged Eid party for the teachers, students and parents. Other than the teachers, administration, students, and their parents other people from the surrounding villages also attended. It was estimated that approximately 125 people attended the Eid party. Plans to expand the school were also discussed. 12 April 2015 – Al-Alim Public School decides to offer free books this year to all student regardless their of their financial abilities. 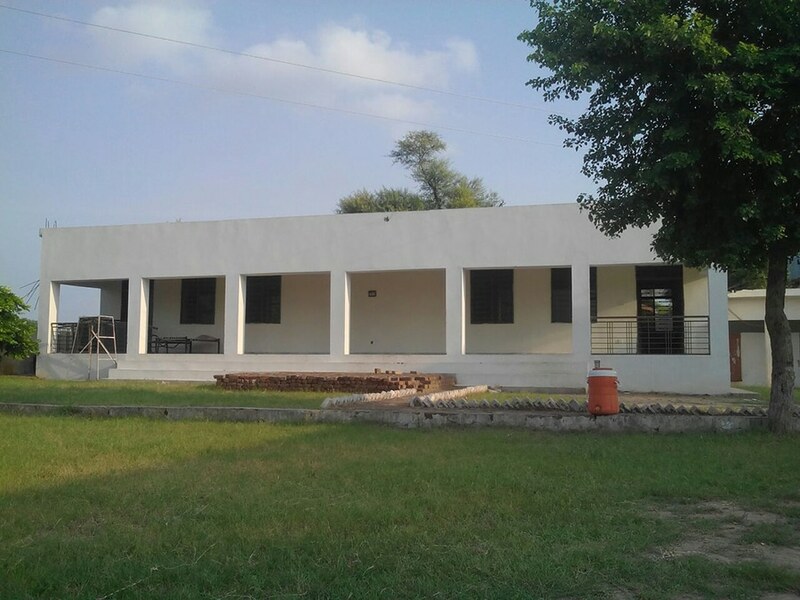 5 April 2015 – Al-Alim Public School starts providing free primary education. The number of students (approximately 45) enrolled for the very first time at the school remains low which is mainly attributed to late admission and expensive course material. 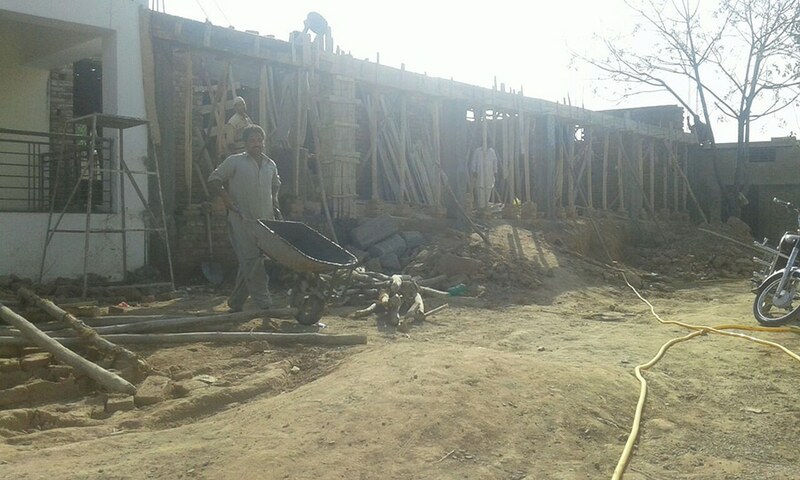 1 April 2015– construction work is underway to accommodate the school classes which have already started earlier this year. The proposed building will be used for IT purposes. 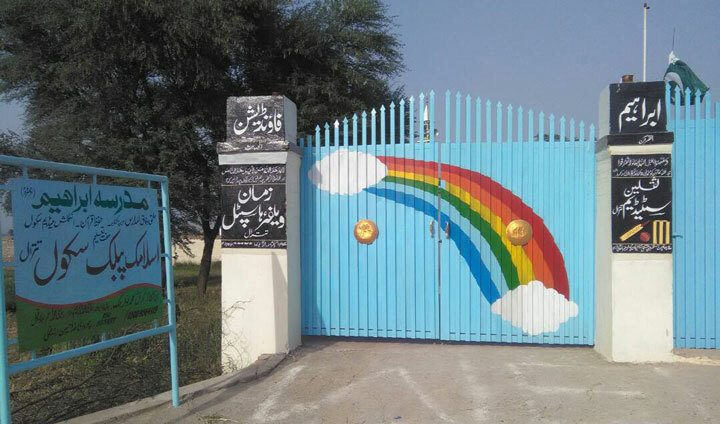 1 March 2015 – Al-Alim Public School opens its admission. February 2015 – Al-Alim Public School recruited 5 school teachers. All teachers are from the local area. January 2015 – Al-Alim starts recruiting school teachers. It is intended that this land will be used for cultivation until we are successful in purchasing the land between their land and the land of the school, edged in red. 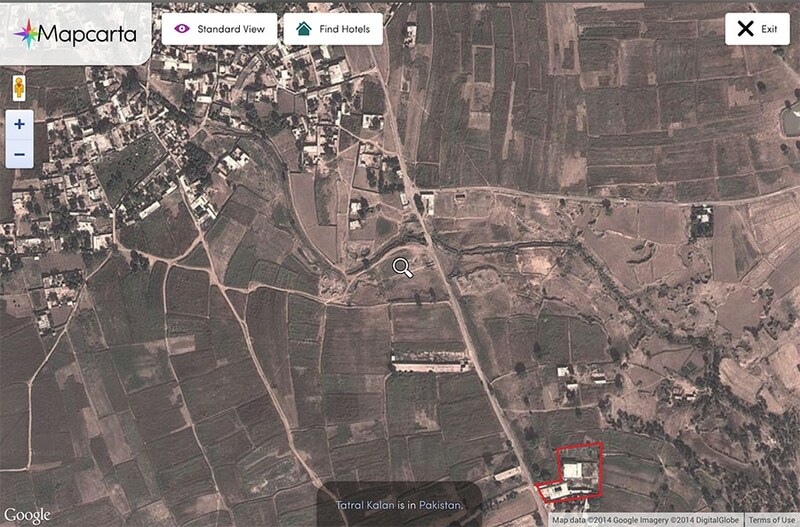 October 2013 – Fida Chaudhary announces the opening of a primary school in the village of Tatral. 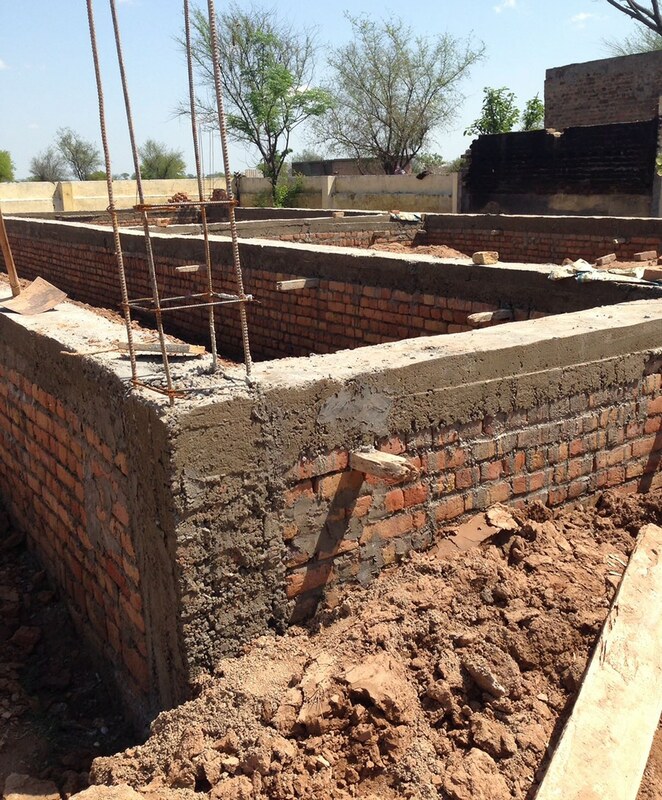 The school will provide top quality free education to orphans and needy children of the area. The site is also visited by Mr Tanveer Sajid, the General Secretary of Croydon Mosque & Islamic Centre who liked the project and assured of his full support to the project. Approximately 50 people from the village also attended the gathering. 1 January 2012 – Colonel (r) Muhammad Malik Nawaz agrees to take the responsibility of managing day-to-day affairs of Madrassa Ibrahim. 1 January 2012– Makka Solicitors Ltd is honoured to take the responsibility of Madrassa Ibrahim management. 2008 – Madrassa Ibrahim open its doors to children for Hifdh classes with lodging and boarding facilities. 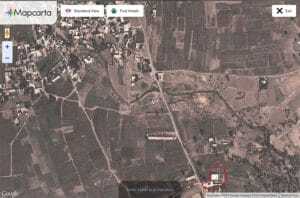 1999 – Ibrahim Khan Raja decides to build a Madrassa in Tatral on his native land, edged in red, to provide fee religious education to children in the Village of Tatral.